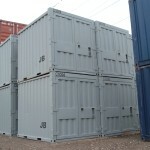 Wyoming Storage Containers - JB Storage Containers Inc.
Are you looking for a new or used container for sale in Sheridan, Wyoming? JBcontainers.com is the number one source for container sales in Sheridan, WY. 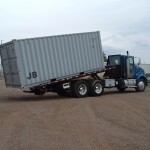 JB Container Sales offers direct sales in Wyoming, Montana, and Colorado. When you use JB Container for sales to buy a Wyoming Storage Containers in Sheridan, Wyoming you know that you’re going to get a long-lasting, well-built container at an amazing price. Whether you are looking for a used shipping container for sale in Sheridan, portable storage container sales in Sheridan, or you need to purchase a 40 ft. cargo container in Sheridan, Wyoming, JB Containers, Inc. can help.